The highly anticipated new album Bright Land is here! Available at our shows, website, CD Baby, Amazon and local record stores. West coast CD release tour in September, San Diego, LA, Los Osos and Pleasanton. And in October the Crooked Jades will be in Nevada and down to N. California, Auburn, Arcata, Ukiah and in the beginning of November we will be home at the Freight and Salvage. 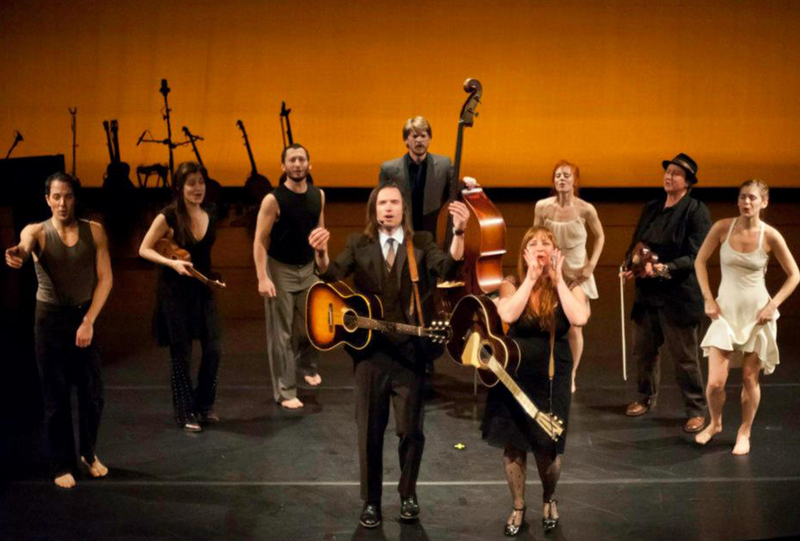 This San Francisco-based band boldly goes where no old-time string band has gone before. 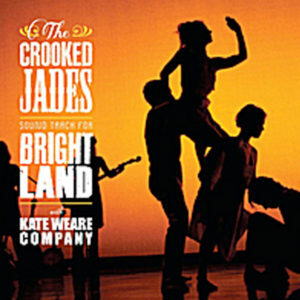 The Crooked Jades new release “Bright Land” is a soundtrack of 20 songs and tunes for a 50-minute work of contemporary dances set to old-time music composed and re-arranged by The Crooked Jades. The project all started when acclaimed New York-based modern dance maven Kate Weare came out to see the Jades on their “Shining Darkness” tour at Café du Nord in San Francisco. A stranger to the band at the time, they all noticed her right away because she was inspired to get up and dance, not to a fast-driving fiddle tune like most audiences, but to a mournful Roscoe Holcomb ballad called Moonshiner. Later she told the band that she was moved by the skill, edge and depth of their music and felt inspired as a choreographer. So that’s what sparked this unlikely collaboration. And it really came to feel like the perfect union as the band was in turn inspired to reframe compositions to join Crooked Jades’ hypnotic old-time music with Kate Weare’s boldly poetic modern dance. « The Crooked Jades will be performing a very special show backing up the legendary singer-songwriter alt-country guru Richard Buckner at the Great American Music Hall in San Francisco on Wednesday August 17th.